For us back to school is a bit different than most, seeing as how we home school the kids. Stress levels are always at a minimum, however it didn't always used to be that way. When the kids went to public school, the beginning of a new school year was filled with so many emotions. It was especially challenging because a few of our kids needed extra support in the class room. Back to school can be a very challenging time for families with children who struggle with reading, writing, math, organization or focus. Ine in five children in the U.S. have learning and attention issues, like ADHD and dyslexia and those issues make learning harder. 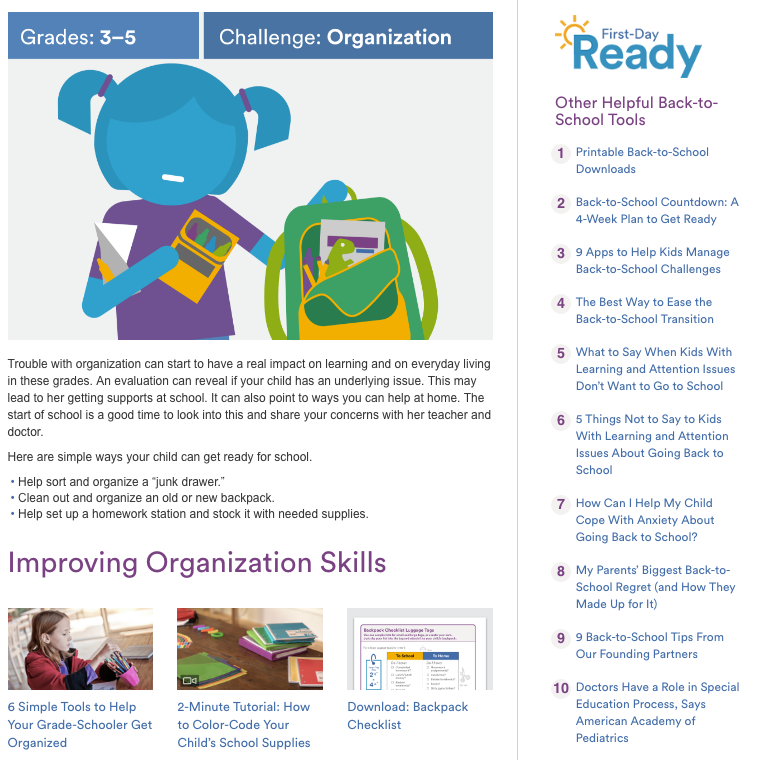 The Ad Council and Understood.org are collaborating this year to help your child be First-Day Ready with some amazing organizational tips. Understood.org is also offering a free First-Day Ready Guide to help prepare parents and kids even more.